During the 2018 session, a bill with the words “seeds” and “preemption” in the title caught the attention of farmers and seedsavers in New Mexico. The bill appeared to be the handiwork of the biotech industry, which was attempting to prevent local governments from enacting regulations on the cultivation of seeds. The opposition to the bill was swift and strong. Tribal officials and farmers, who advocate for protecting heirloom/landrace seeds from cross-contamination by genetically engineered seeds, mobilized against the bill, and it was tabled in its first hearing. This bill was revealing about the national agenda of the biotech industry to preempt local laws and about the extent of opposition from grassroots organizations comprised of gardeners, seedsavers, and farmers. One might ask why a pharmaceutical corporation such as Bayer would be pushing for this bill in New Mexico. It has been reported in recent months that Bayer and Monsanto are seeking a merger, and Monsanto is well known as the dominant transnational corporation that aggressively develops and markets genetically engineered seed. Beyond that, Monsanto has aggressively “protected” its seed patents by suing farmers who were inadvertently contaminated with Monsanto’s DNA. Farmers are rightfully concerned about having Monsanto, or Bayer-Monsanto, as a neighbor. In addition to the risk of contamination, genetically engineered seeds (also known as genetically modified organisms or GMOs) have been associated with the emergence of “superweeds” that evolve to resist the herbicides in GMO seeds. So, why did these corporations want to pass a preemption bill in New Mexico? First, it is important to explain the term “preemption.” Preemption is a strategy used by industry to enact laws at the federal or state levels to preclude local governments from enacting regulations, specifically if those regulations are more stringent than state or federal laws. Several other states have enacted laws that preempt local governments from enacting ordinances regulating seeds. In the US, 29 other states have enacted preemption laws that prevent local counties and cities from regulating the cultivation of seeds. The likely reason that Bayer and Monsanto are pushing preemption is that the industry wants to prevent local governments from passing regulations that restrict, prohibit, or otherwise regulate the cultivation of genetically engineered seeds. There are several reasons for local governments to enact local regulations, including protecting existing farmers, especially those cultivating native, heirloom, or organic seeds, from cross contamination from GMO seeds. At this point in time, there have been no local governments in New Mexico that have enacted or proposed enactment of such ordinances, but it appears that industry wants to preempt their ability to do so before local governments have an opportunity to even consider any ordinances concerning seeds. HB 161 proposed to amend the “New Mexico Seed Law” in Chapter 76, which was enacted in 1967. 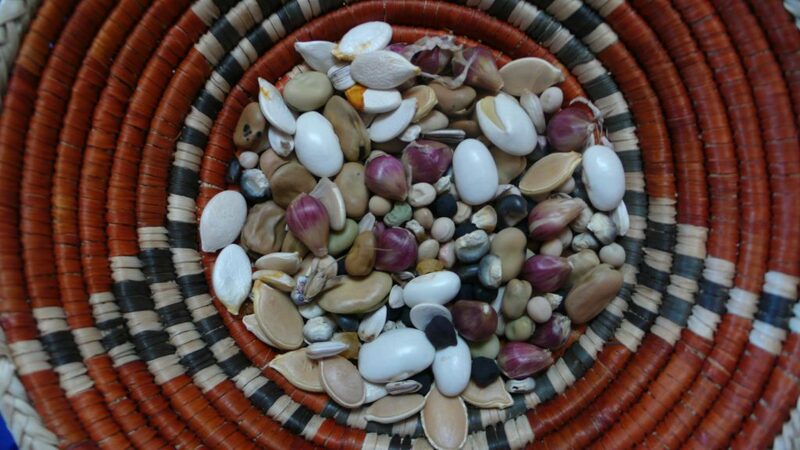 The Seed Law sets forth the laws for certifying seeds for commercial sale to ensure that, when consumers purchase seed, the seeds meet standards for purity and germination rates and also that the seeds are properly labeled. The Seed Law also defines the certification agency for implementing the Seed Law from the NM Department of Agriculture and the NMSU Cooperative Extension Service. The law currently does not appear to include explicit language that outlines jurisdiction that regulates the location of the cultivation and production of seeds. Around the US, there are some states, such as California, where local governments have enacted ordinances that restrict the cultivation of GMO crops. In Hawaii, counties enacted ordinances banning GMOs and/or pesticides/herbicides but those were overturned in the federal courts. Whether local governments can adopt ordinances regulating or banning depends on the specific language in state laws, where there may be expressed preemption or where state law occupies the field. In cases where it is not specific whether state law completely occupies the field, there is concurrent jurisdiction, in which local governments have some ability to regulate, provided it does not conflict with state law. It appears that HB 161 was an attempt to change state law to completely preempt local governments presumably because local governments in New Mexico may have some jurisdiction to regulate GMOs. 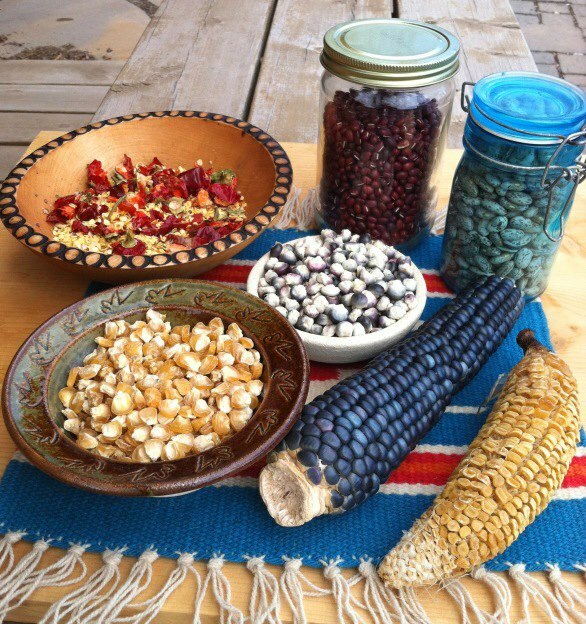 The NM Food and Seed Sovereignty Alliance was founded in 2006 and is a collective of organizations and traditional farmers from Pueblo and acequia communities dedicated to protecting native seeds from contamination from cross pollination from genetically engineered seeds, or GMOs, genetically modified organisms. The Alliance includes Tewa Women United, Honor Our Pueblo Existence, the Traditional Native American Farmers Association, and the NM Acequia Association.